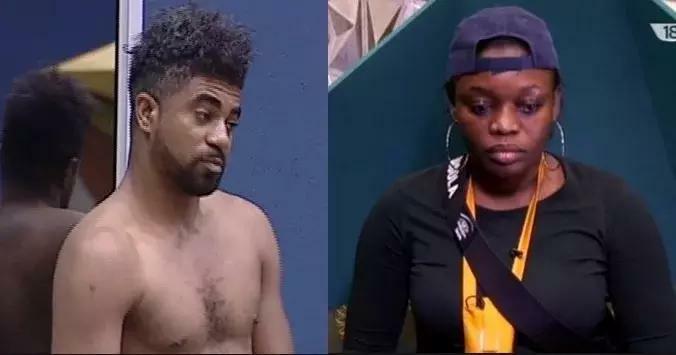 Big Brother Naija housemate, T-boss, has finally revealed to fellow housemate Bisola that evicted Thin Tall Tony has a child. Bisola, Bally and T-boss sat in the dressing room having a heated discussion about everything from stretch marks and pregnancies to child support when the conversation shifted to ex-Housemate, Thin Tall Tony and Bisola’s relationship. Bally and T-boss argued that there was something deeper between the two of them, but Bisola kept insisting that they were just friends. Bisola’s smile melted away, and she sat still for a moment as the words washed over her.